Before Highway 19 moved inland, the highway south of the Comox Valley was dotted with a number of shellfish and seafood farms. While those farms are still there and are very much active today, it’s easy to forget how vital they are to Vancouver Island’s sustainable seafood market. Oysters, scallops and shellfish farms in the area produce some of BC’s best seafood, and this weekend attendees of the SeaWeb Seafood Choices 2011 Seafood Summit will have the opportunity to visit and explore the region through tours, tastings and an incredible feast prepared by Xinh Dwelley of Xinh’s Clam & Oyster House in Shelton, Washington. Vancouver Island University recently completed construction of the Deep Bay Marine Field Station which will serve to be a featured focus of the summit attendees’ field trip to Vancouver Island. 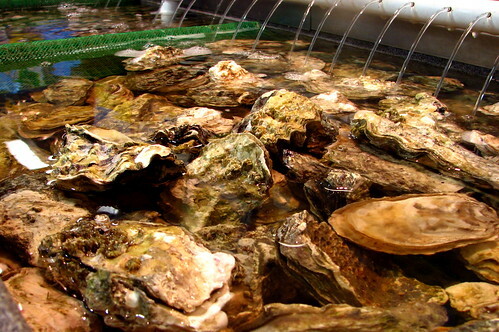 Located in Baynes Sound, this research station is innovative in that it brings together the shellfish industry, the government and researchers all while adhering to “green” policies and methods of operation. This year’s annual Seafood Summit, held in Vancouver, will take place over January 31st to February 2nd. The summit’s goal is to promote seafood in a way that is socially and economically sustainable. For more information on the Seafood Summit, please visit the summit online.